In times of sorrow, an expression of sympathy can provide much welcomed comfort. 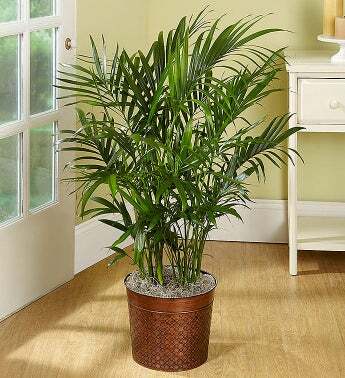 Our cat palm floor plant with draping, rich green foliage is presented in an elegantly embossed bronze planter for a soothing touch of natural beauty. Let it serve as a heartfelt tribute to a life well-lived.